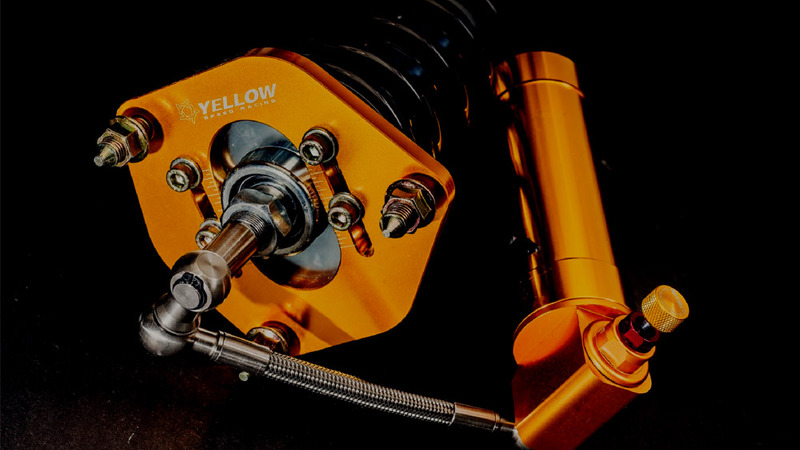 Yellowspeed racing ADVANCED PRO PLUS SERIES is a 2-way and 3-way coilover system with inverted monotube dampers made for vehicles with MacPherson strut type only. With a remote external reservoir, this system provides extra oil capacity to dissipate heat superiorly, which allows you to operate this product for long period and improves performance & handling due to more stable variations in damping rates. The stainless steel braided Teflon coated hose is utilized to connect the external reservoir through upper mounts; this is ideal to allow for some possible mounting locations such as engine bay, trunk when the external reservoir is mounted (installers take a full responsibility for the mounting location of the external reservoir). 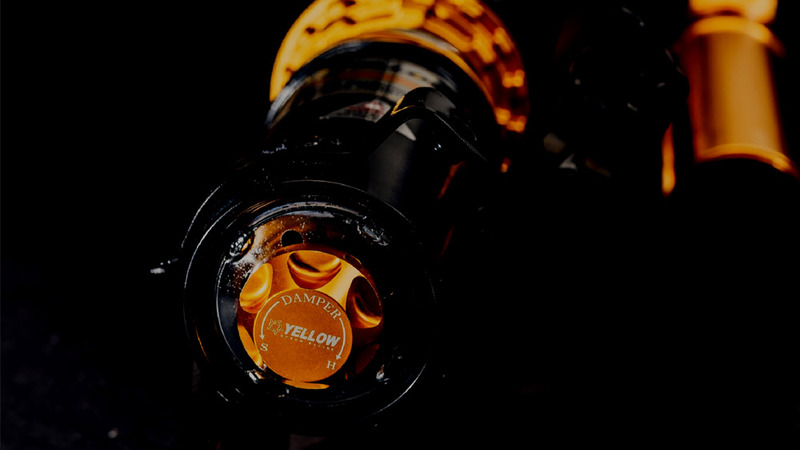 Also, 55mm shock bodies with inverted monotube shock insert are utilized to ensure maximum durability and strength. 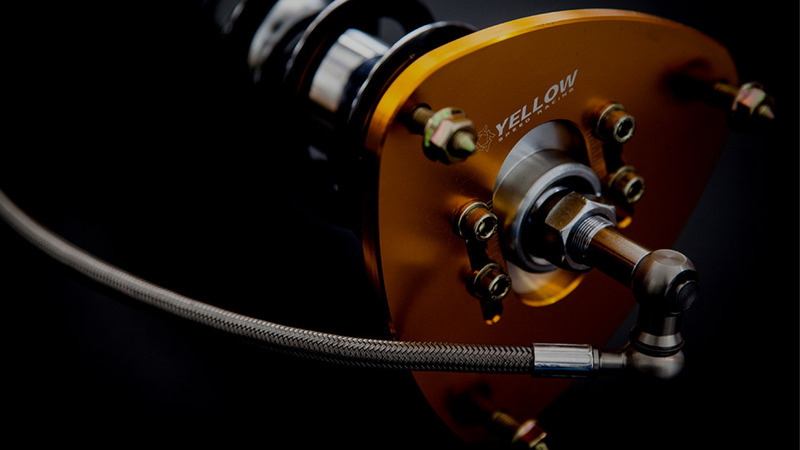 Yellowspeed engineering team with racers and tuners have been testing and focusing on delivering great performance, quality and value in this product. Improvements in many aspects of testing have been made numerous months; we have much confidence this product will bring you to a new level of racing spirits. 2-WAY ADVANCED PRO PLUS SERIES suspension system features separate adjustable compression and rebound damping settings and full length ride height adjustment. 3-WAY ADVANCED PRO PLUS SERIES suspension system offers low-speed and high-speed compression damping adjustment and separate rebound adjustment with full length ride height adjustment. Shock valving and spring rates are specifically made for motorsport. Allow vehicle to go lower by 50mm – 80mm than factory suspension (depending on application). Lower bracket is designed for additional rigidity and strength (where applicable). 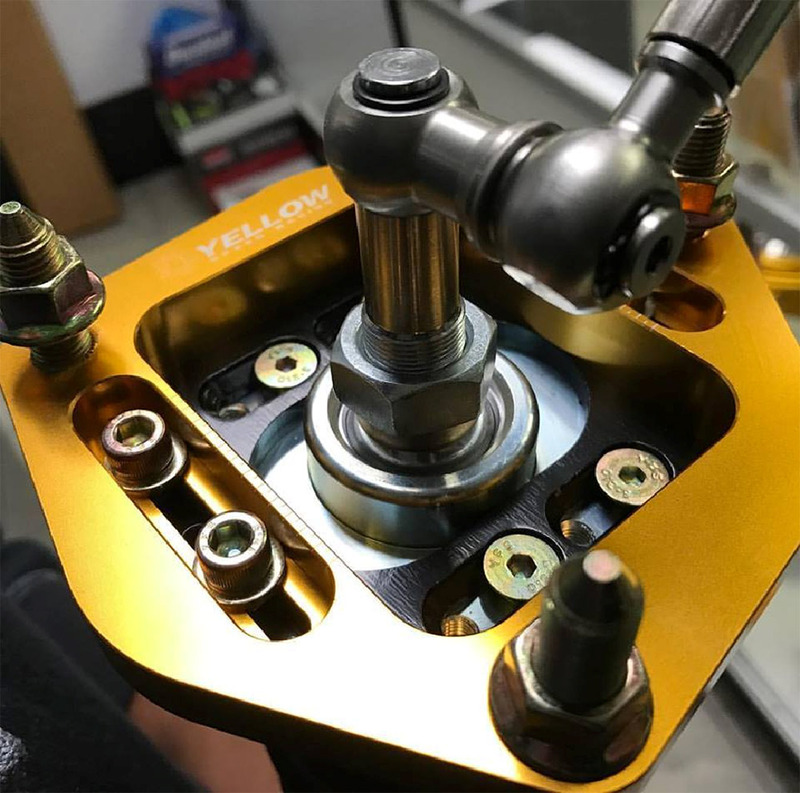 For suspension systems utilizing a MacPherson strut type, an inverted monotube design is utilized to reduce excessive heat transfer from the brake system to the damping oil and shock piston. This suspension system comes standard with pillow ball upper mounts (where applicable). We also offer 3D upper mounts which enable you to adjust CASTER and CAMBER as an upgrade for motorsport for extra cost. NOTE: 3D upper mounts are not available for all applications, please check the product availability with us before placing an order to make sure the item you would like to order is available. 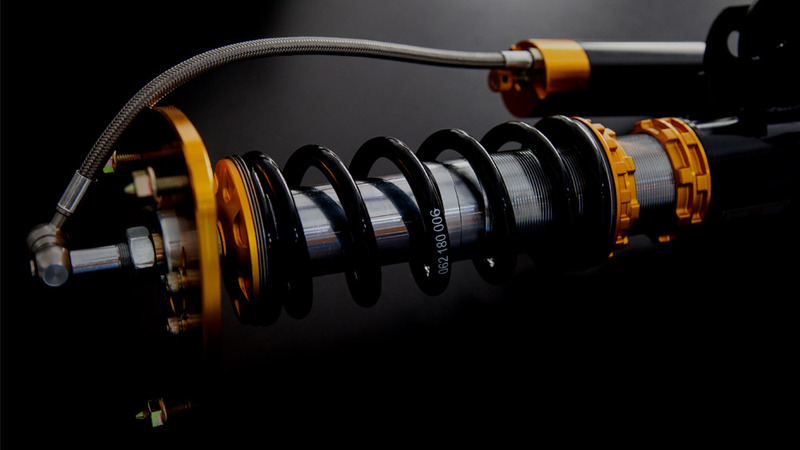 The 2-way and 3-way Advanced Pro Plus Circuit Race coilovers are made to order, and the lead time is approximately 12-14 business days (excluding weekends and public holidays). Allow vehicle to go lower by 50mm – 100mm than factory suspension (depending on application). 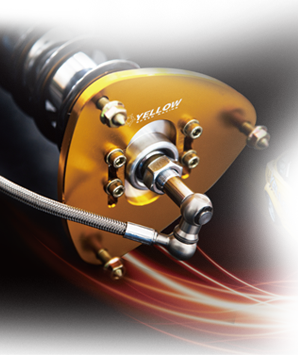 The damping setting and spring rates are setup between Dynamic Pro Sport and Premium Competition types of coilovers. 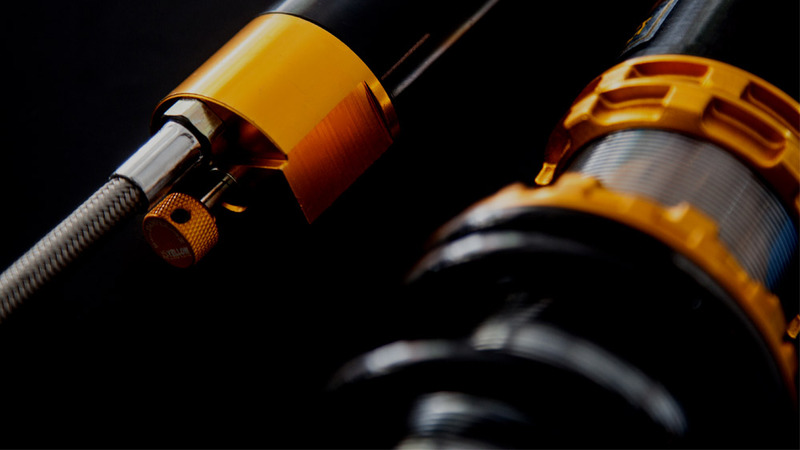 The 2-way and 3-way Advanced Pro Plus Rally Tarmac coilovers are made to order, and the lead time is approximately 12-14 business days (excluding weekends and public holidays). 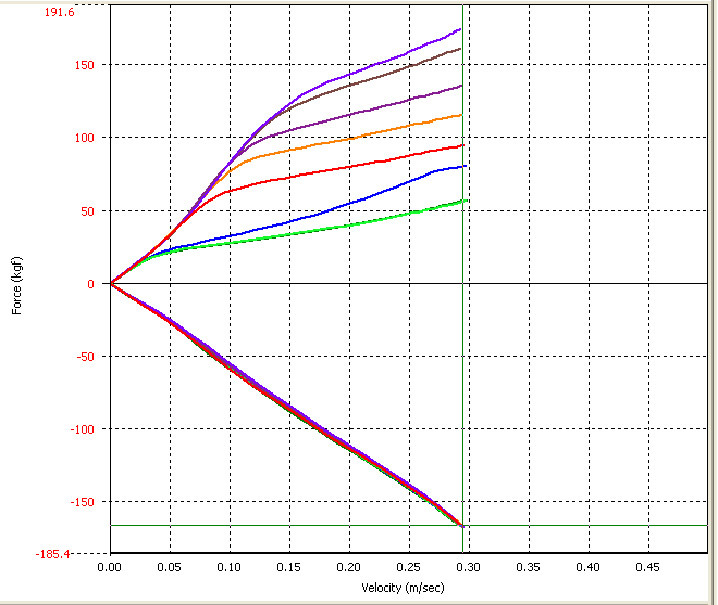 Long shock travel (varies by application). Allow vehicle to be raised higher than factory suspension (depending on applications) . Lower bracket is designed for additional rigidity and strength (where applicable) . This suspension system comes standard with pillow ball upper mounts (where applicable). For some race regulations, we also offer R/U (hardened rubber upper mount) as an alternative for customers) . Front upper mount is 4mm thicker than our standard upper mount (depending on applications). Compared to stock coilovers or general suspension systems on the market, our 2-way or 3-way Advanced Pro Plus Rally Gravel coilovers can withstand leaping movements and endure the impact from the gravel rally courses. These coilover kits offer excellent handling and shock absorbing capabilities for rough terrain. Especially for 3-way Advanced Pro Plus Rally Gravel coilovers, having both low-speed and high-speed compression damping adjustments is a great tuning advantage as it can dissipate weight transfer on low-speed compression and reduce impact on high-speed compression to maintain the tire traction. 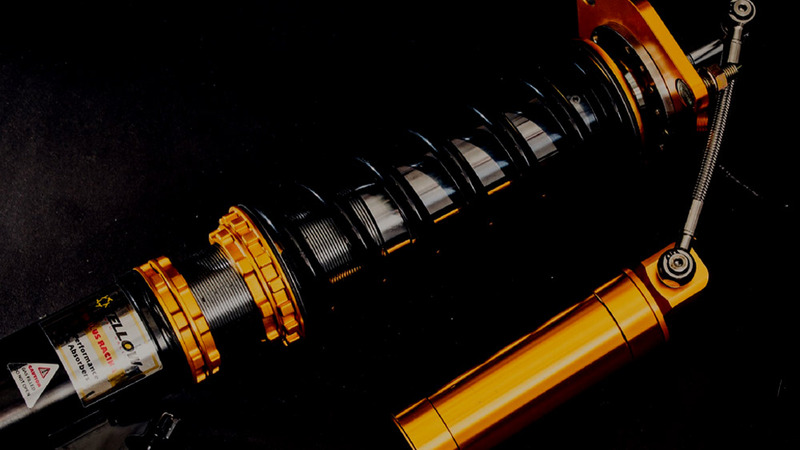 The 2-way and 3-way Advanced Pro Plus Rally Gravel coilovers are made to order, and the lead time is approximately 12-14 business days (excluding weekends and public holidays).